Lee Stickells does not work for, consult, own shares in or receive funding from any company or organization that would benefit from this article, and has disclosed no relevant affiliations beyond their academic appointment. Environmental catastrophe, economic collapse, global pandemic … does it feel like the world is ending? If you think Armageddon is near and are trying to get ready, you are not alone. National Geographic Channel’s Doomsday Preppers – a reality TV series that profiles various “survivalists” readying themselves to survive a range of apocalyptic circumstances – is the network’s most-watched series. It has prompted a slew of similar programming such as Discovery Channel’s rival Doomsday Bunkers. Of course, even after an apocalypse one needs a place to live. Since it first aired in 2012, Doomsday Preppers has featured survival retreats ranging from pre-fabricated steel shelters and decommissioned missile silos, to hand-built forest cabins and buried shipping containers. What has emerged is a picture of the ideal survival retreat (or “bug-out location” to use prepper slang) as rural, secluded, self-sufficient and fortified. The show has even spawned an app that challenges you to “design a multi-level dream bunker complete with everything you need for post-apocalyptic bliss”. The idea of a domestic structure for emergency protection is not new. The Cold War nuclear fall-out shelter programs of the late 1950s and early 1960s provide an example of this as a mass phenomenon. The kind of survival retreat we can see in Doomsday Preppers emerged a bit later. It solidified around the concept of a dedicated, self-sufficient (“off-grid”), secluded and secure home. The late-1960s saw a surge in publishing and communication networks that disseminated discussion and advice on designing for this ideal. These networks also helped establish the roots of the present-day survivalist industry. In the late 1960s, the American architect Don Stephens ran seminars on how to build and equip a remote survival retreat. Publications such as Joel M. Skousen’s The Survival Home Manual: Architectural Design, Construction and Remodelling of Self-Sufficient Residencies and Retreats (1977) also appeared. Today, an internet search will find dozens of similar titles, such as Dirt Cheap Survival Retreat (2011) and The Everything Guide to Living Off the Grid (2011). There are also any number of survivalist (or prepping) blogs, forums, expos, equipment suppliers, consultants and even celebrities such as bestselling author James Wesley Rawles (who wrote the Patriots novel series), editor of SurvivalBlog. A thriving industry has grown up around planning for apocalypse, with the design and equipping of the ideal home as a key element. Discussion of survival retreat design focuses on issues such as strategic location, energy self-sufficiency, water supply, waste treatment, food production and home security. Survivalists and preppers spend a lot of time arguing over the virtues of stainless steel versus plastic water drums, the best way to fortify a house, whether to use a passive solar heater or wood stove, and what size basement is required for all that canned food. 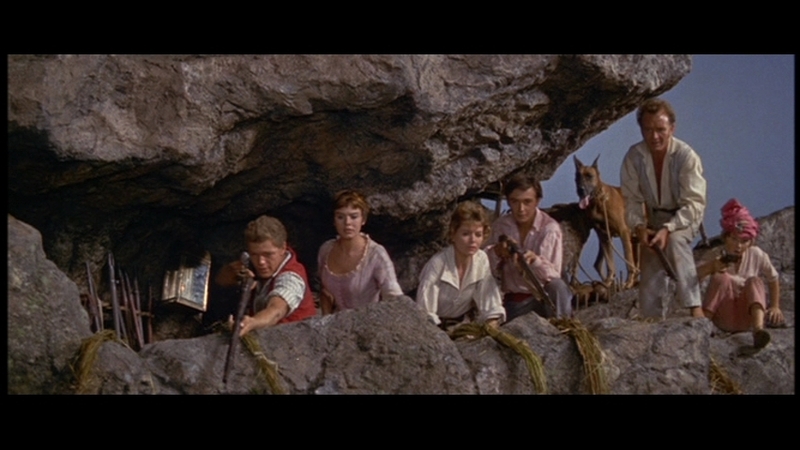 The effect is something like Swiss Family Robinson with methane-harvesting septic systems and electrified fences. It is the wilder examples of survival retreat design that tend to catch our eye. Rawles sees the “crushroom” (a kind of foyer “mantrap”) as a key element of retreat architecture. One Doomsday Prepper episode featured a family who, fearing the fallout from a nuclear event, retreated to a replica medieval castle (and gained their own TV series, Doomsday Castle). Survivalists can easily be caricatured as lonely lunatics sitting on piles of freeze-dried food and exotic armaments in their foil-lined bunkers. The typical TV survivalist rhetoric also suggests an intense pessimism about the possibility of collective, cooperative responses to surviving disaster. The New York Times critic Neil Genzlinger bemoaned in 2012 “how offensively anti-life these shows are, full of contempt for humankind”. But is Doomsday Preppers simply a freakish version of Grand Designs? Is there something other than voyeuristic smirking to be gained from watching? Anthropologist Richard G. Mitchell’s Dancing at Armageddon (2001) is, I think, one of the most level-headed studies of survivalist culture. His work points to the way survivalism is rarely about extremist action. Rather, it is more often about tinkering with tools, exchanging ideas and creative storytelling. We can see the design of the survival retreat as a wilder version of the more familiar impulse towards DIY and home renovation. Survivalists use these projects as a focus for developing the personal skills, knowledge, and praxis needed to embrace a radically changing world. Potential chaos and crisis is embraced as the opportunity for developing personal autonomy. Seen in this way – and put in the context of global climate change, ongoing financial crises, and episodes such as the current ebola epidemic – the survival retreat starts to seem to be an eccentric but understandable reaction. Going further, survivalists may be more connected to the chaos of modern life many of us experience than their reputation suggests. Discussions about the need for developing personal “resilience” in communities facing the effects of climate change often resonate with survivalist concerns. Preppers start to seem prescient rather than loopy. In fact, something like the survivalist dream has become a compelling vision of sustainable future living. Environmental concerns, rising power prices, and the progress in alternative technologies have seen a growing number of people opting to disconnect and live “off grid”. This trend often shares a common picture of the ideal retreat; including, for instance, micro-hydro power, methane digester, water tanks, passive solar design, and avegetable garden. Rawles has suggested that his SurvivalBlog has “an increasing number of stridently green and left-of-centre readers”. Off grid housing is even being talked of as the “new normal”. This can be read as liberating moves towards sustainability, personal autonomy and self-determination. Survivalists also tend to privilege privatised, self-regulated, individualist modes of living. The Australian off-grid advocate Michael Mobbs has recently suggested rethinking the state’s responsibility for sewage. He argues that “mature citizens” should take care of their own waste. If it becomes the “new normal”, what could this sort of thinking mean for the way we live together? Common services and cooperative social institutions have helped form the city as a public good. When looking at the overlapping discussions of being “prepped” and “off grid”, or “resilient” and “sustainable” we should perhaps be wary. Who has the capacity to be off grid and who remains dependent? Exit from the grid challenges the collective infrastructures that have been so vital to more equitable urban environments. What, then, of our public networks such as water, electricity, transport and telecommunications? What of our common urban future?